A string of professional cyclo-cross stars raced toward me, as I, with camera in hand, got ready to shoot – ‘Click’ went the shutter, ‘flash’ went the bulb and at that same moment Bart Wellens’ crashed to the ground screaming, “I can’t see, I’m blind, I can’t see”. Fellow riders flew to his aid and I went cold. With concern growing and team manager Danny de Bie giving me a piercing stare that suggested that I had poked Bart in the eyes, I stepped forward to assist. Then just as suddenly, the whole drama having only been played out in seconds, Bart jumped to his feet bursting with laughter, and everyone joined in. Life with a cycling team centres upon a timetable set over time and you as a guest have to slip into it. You need to judge carefully when the best moments are to interact with the team with questions or requests. A team training camp or a general coming together is mostly a place of work and not a ‘jolly’ for an outsider. I remember talking to a team manager about a group of guests of a team sponsor who were set to join a team training camp with the mind-set that the riders would be 100% accessible. To his mind a team that wants to entertain guests had better have a person in place to bridge the divide that exists between ‘civilians’ and ‘workers’. Bart was mixing in a bit of fun into the working day. Another time and another team, I was once put in my place when I and the riders waited for a hotel buffet to open, and when it did I was told to wait until they had gone first. There was plenty of food and time was not as pressing for me as it was for the riders.To prove the point after the riders had gone off to bed I spent the rest of the evening drinking beer with the manager and other team staff in a leisurely manner. In 2007 the Fidea, now the Telenet Team, met up each week for a training ride that took in local roads and off road trails. All the team riders take part in a spin in the morning, followed by an afternoon of massages, exchanging news, picking up new kit and generally bonding. 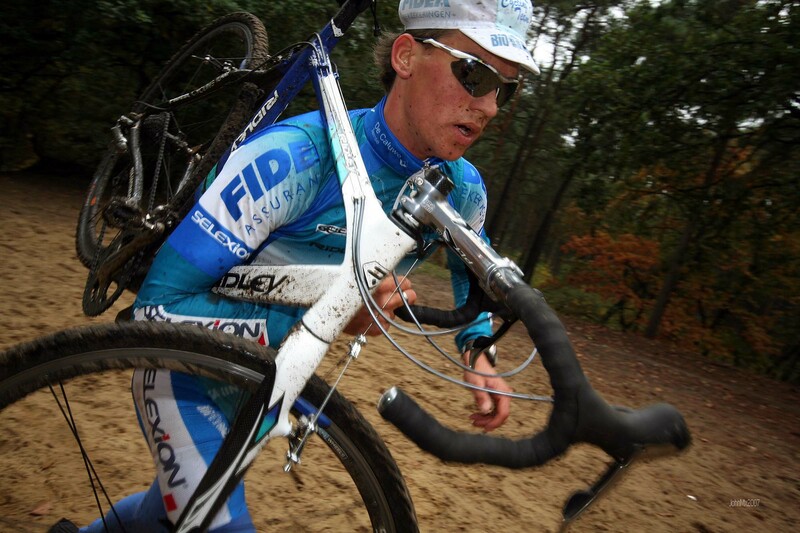 In 2007 Zdenek Stybar was new on the team and each time he joined his team mates they switched from Flemish to English, he being the only non-Belgian, and so as not to cut him out. This and many other small social graces signalled the team as a cohesive unit. Top men that day were past World Champions Erwin Vervecken and Belgian superstar Bart Wellens, the latter a star of his own reality show on Belgian TV at that time. Other young riders present were under-23 stars Tom Meeusen and Kevin Pauwels, and what was fascinating to watch was how the established stars related to them. Each week there is a rota to receive a massage, and when I was there Bart was scheduled to go almost last. He politely asked each rider before him if he could go first as he had a number of media duties to undertake later. He didn’t ask in a manner that was really just a fait accompli, but a genuinely respectful request that showed no sign of him pulling rank. We know that the Belgians love their cross and this becomes clear when you find out that almost any town or village will have a known spot where all cross riders train and practice, some in fact are even built especially for a particular rider by a local municipal council such as for four times World Champion Roland Liboton near his home. Mid-week is the best time to chance upon cross riders and the area around Oudernarde has become quite an English speaking hotspot. For some it’s a real opportunity to ride with World Champions. The Fidea squad saw a number of locals joining their chain gang and they seemed to be warmly welcomed. Sitting in the team car with Danny De Bie, himself a World Champion and the undisputed king of the ‘bunny hop’ during the 1980’s, we watched the riders playfully skipping over puddles, contriving their bikes to splash each other which made the road sections more entertaining for everyone involved. Having got ahead of the riders, Danny and I waited for them in the woods and this is where Bart expressed his dramatic side at my expense. Watching the team ride took me back to when I used to help at the London International Cross at the now lost Eastway Cycle Circuit in London, and I was able to witness the high skill levels of the continental competitors. At one such event a group of course builders, including race organiser Colin Docker and I, tried to contrive an un-rideable ascent, but each time we set the course, a practising Swiss or Belgian would manage to ride it. We must have moved it 4 or 5 times before we got the angle of the approach just right, so that they lost their momentum and had to dismount. Watching them in the race, and although the riders at Eastway that day were not in the same class of Sven Nys etc., they still displayed an amazing balance on the thin edge between traction and disaster. I asked Danny if his team did much run training and he said that they were cyclists and not runners, but that they did enough to keep their fast pedestrian muscles in tune. In addition he told me that squad riders had to have the confidence and super high skill levels because they would be tested at a world class level of competition. Thus the requirement to sharpen riding skills each week was very important. Within all teams there are rituals such as asking a young, inexperienced rider new to the squad to present their ‘wet bag’ to the soigneur, leaving them confused about what that might be (with often humorous results). At the Fidea Team a rider who had won most recently had to buy the post ride cake (proper cyclists eat cake). Danny did the procuring, getting each rider’s favourite, and that day it is was Tom Meeusen who had to come up with the cash after winning his Under-23 race over the weekend. Cycle race teams and most likely all sporting set-ups have their own dynamic, whether it be the ‘death star’ image of Team Sky or the benevolent attention to detail of John Herety (Field People) the Fidea Squad of 2007 felt very close and personal, maybe because a cross team isn’t as large as road and that they spend so much time together in the short period of the racing calendar that is the cyclo-cross season. What all teams have in common is that the team manager is more like a ‘care worker’ than a Field Marshal directing his troops, and that a team thrives on an understanding of a common purpose. Making good-natured fun of an ‘outsider’ such as me is just part of a healthy team dynamic. Since meeting the team in 2007. 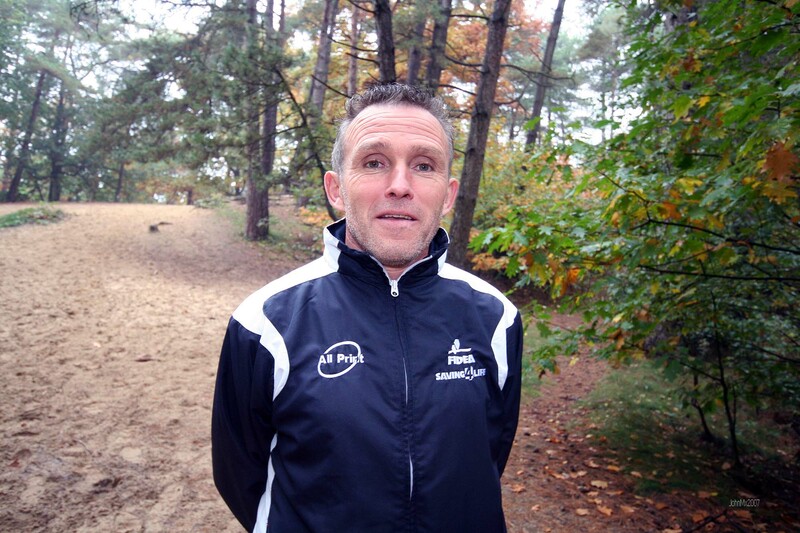 Danny Di Bie left Telenet in 2015 and is now manager of the Superano Ham-Isorexteam squad. Zdenek Stybar won three World Titles in 2010, 2011 and 2014 and a stage of the Tour de France. Tom Meeusen is now an established rider at World level. 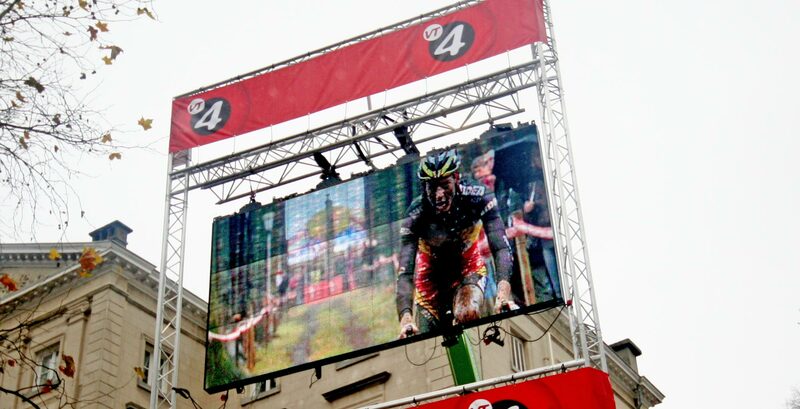 Kevin Pauwels is a World Cup winner and star of cross. Erwin Verveken retired in 2010 after winning the 2001, 2006 and 2007 World Champs. 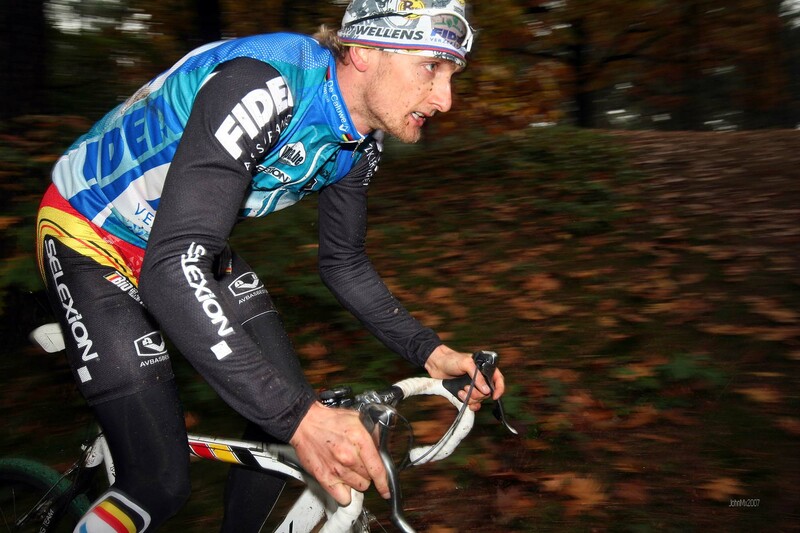 Bart Wellens retired at the end of the 2014/15 season after winning the 2003 and 2004 World Champs.